This weekend, from 11:30 p.m. Friday, April 12 to 5:00 a.m. Monday, April 15 there will be no service in either direction at the 4/5 platforms at Borough Hall, as 4 trains will be terminating and originating at Bowling Green in Manhattan, and 5 trains do not serve Brooklyn on weekends. 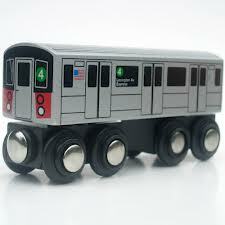 Use 2 or 3 trains, which should be running normally, for travel to or from Manhattan or the interior of Brooklyn. From 9:45 p.m. Friday to 5:00 a.m. Monday there will be no Brooklyn bound service at York Street in DUMBO as F trains will be re-routed to the A/C line from 42nd Street to Jay Street-MetroTech. Those traveling from Manhattan to DUMBO can get off at High Street and walk down the hill, or get off at Jay Street and take a Manhattan bound F to York. To get to Brooklyn from the LES stations on the F, take a Manhattan bound F to West 4th nd change there for a Brooklyn bound A, C. or F.
The following work week, each night Monday, April 15 to Thursday, April 18 from 9:30 to 11:30 p.m. there will be no C train servic in either direction, but A trains should be running normally. Each night, Tuesday to Friday from 11:00 p,m. to 5:00 a.m. there will be extra Manhattan bound service at Court Street and at the R/N platforms at Jay Street, as Manhattan bound Q trains will be re-routed to the R line between De Kalb Avenue and Canal Street.